Take a bit of altitude, forget the excitement of the valley, hunt down Arctic char, Fario trout or fountain salmon and savor time passing at Mont-Dore. The first weekend of March, the lake is swarming with fishermen in search of extreme sensations. 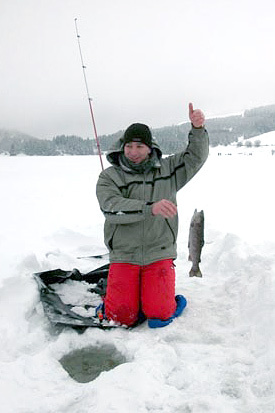 In winter, Guéry Lake is home to an exclusive fishery in Europe, inherited from Inuit or Canadian traditions: ice fishing, also known as fishing in the hole. The thickness of the ice must be more than 25 cm to accommodate the many fans who come for this convivial event: a Great North atmosphere guaranteed! The Auberge and its warm atmosphere will be appreciated by all to fill up on calories, a few steps from Mont-Dore. 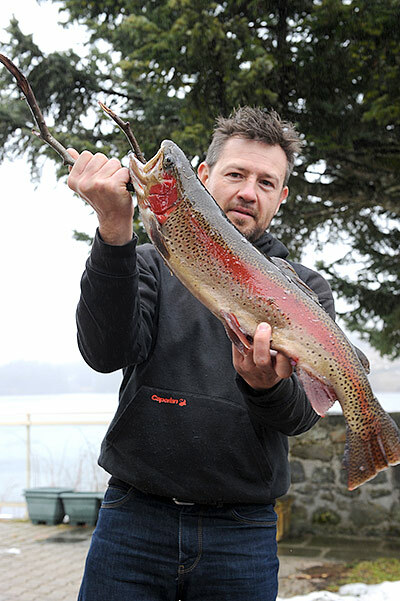 Fishing licence for sale at the Auberge from first Saturday in March to 15 November.